Redicrete offers a proven concrete solution for any project. 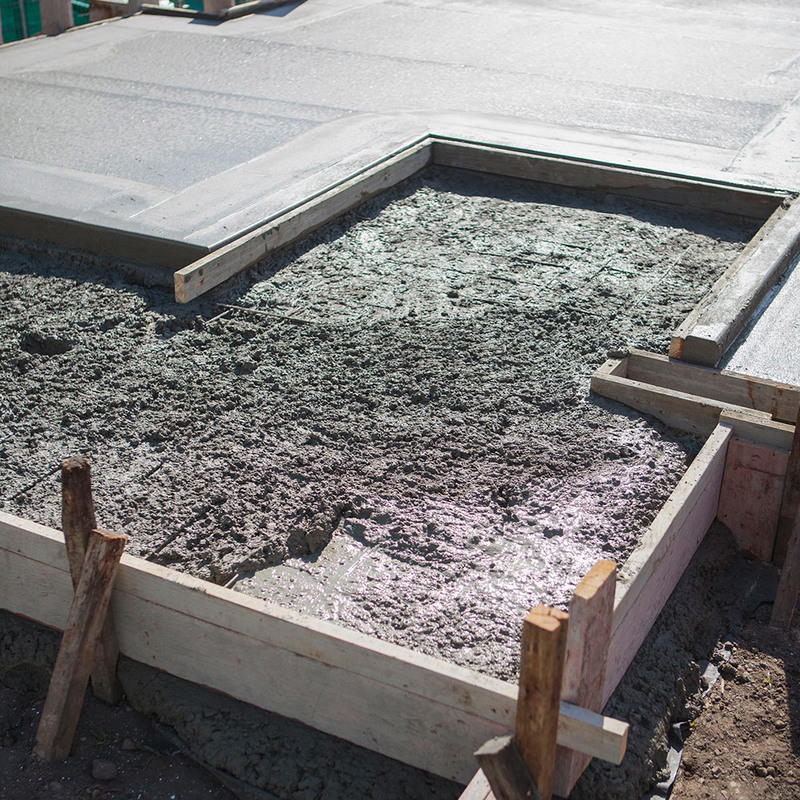 We tailor concrete to your specifications and have built our reputation on going the extra yard, or cubic metre, to ensure you get the correct mix and the best finish. 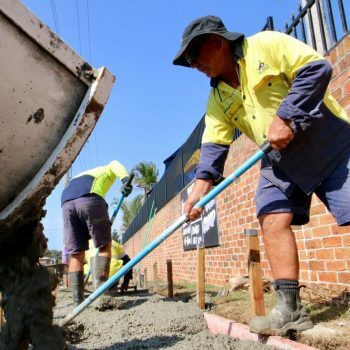 We’re locally owned and operated with a community focus and have provided quality ready-mixed concrete for nervous couples building their first home, experienced campaigners upgrading to the dream dwelling and for large commercial, industrial and infrastructure projects. 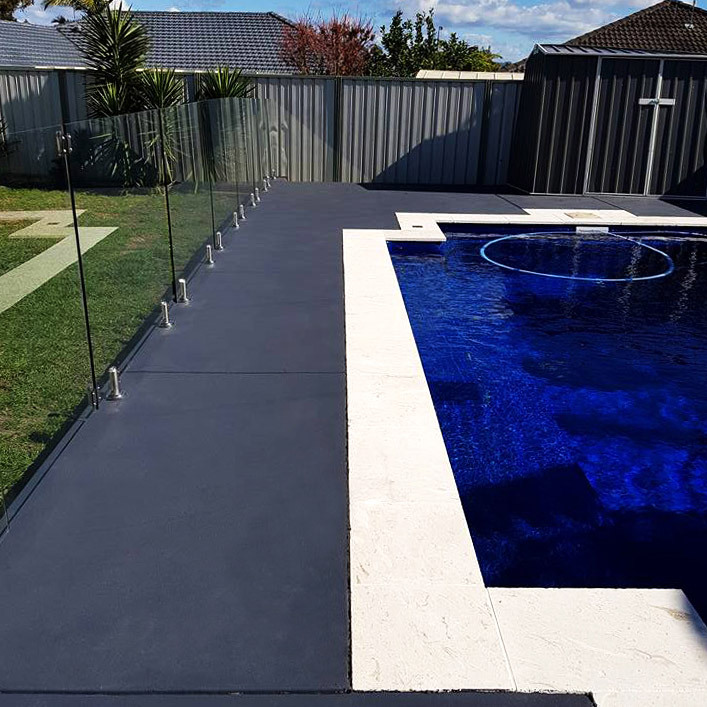 From everyday concrete for house slabs to decorative concrete for floors, driveways, paths and indoor feature areas, we customise precisely for your requirements. We can also provide highly technical concrete for any commercial project. Nothing is too big or too small. Every question receives an answer. If you have an idea and concrete is involved, get in touch. At Redicrete we don’t place the concrete, but we provide our knowledge and expertise on delivering the right mix for your project and delivering it on time. Our recommended tradesmen do the rest, ensuring our tailored mix results in the perfect finish. A workable, durable and high quality concrete tailored to your specifications. Everyday concrete is suitable for a range of applications in residential or commercial. Every job is different, and Redicrete prides itself on tailoring the concrete mix to best suit the job at hand. From exposed aggregates, full-depth colour and polished, there are endless opportunities for a decorative concrete finish. It is a durable and long-lasting option for many projects, from household flooring, kitchen benchtops, feature walls and outdoor entertainment areas. It is a great low-maintenance option, providing an element of style to any project. 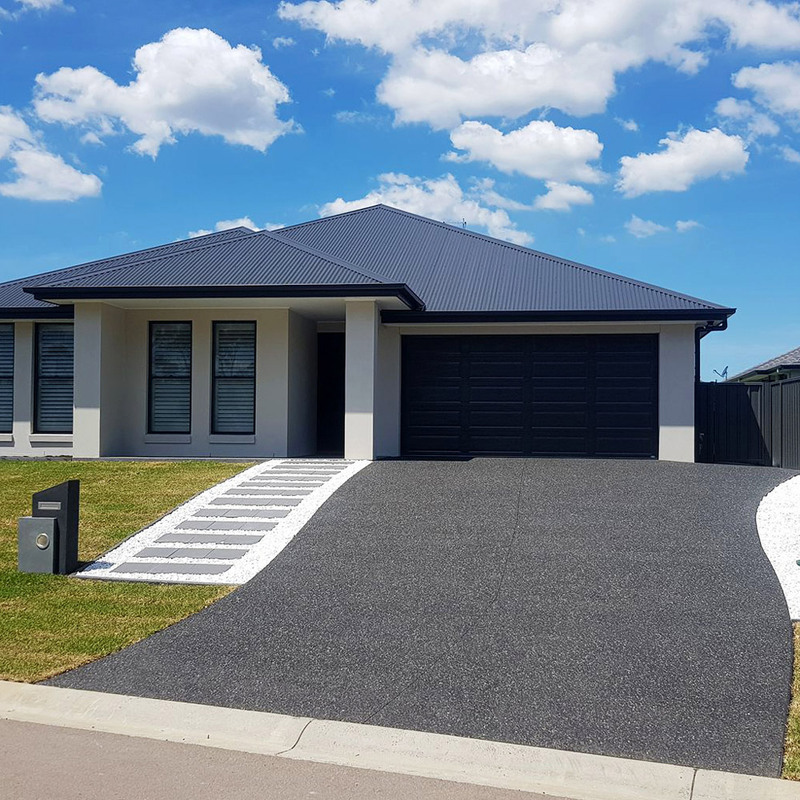 Coloured concrete can provide a great visual effect to enhance your design, whether it be for a community area, driveway or backyard feature area. It is durable and long lasting with minimal maintenance required. With the right blend of cements and oxide, concrete can be a thing of beauty. And the possibilities are endless. Redicrete has made a name for itself as a residential-focused operation, and we’re proud of that. But tier-one companies also hold us in high regard. 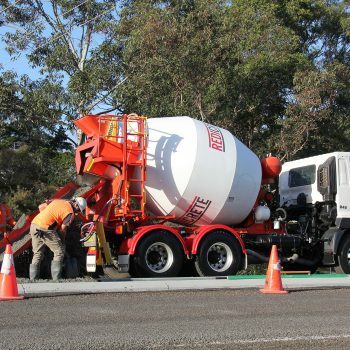 Each plant is equally capable of providing the most technical of concrete, whether it is low-shrink, high-flex, high early-strength or waterproof, Redicrete can offer a list of proven mixes and experience. Redicrete has access to bulk supply washed sand through locally owned and operated company Redisand. It specialises in washed sand, screened sand and fill sand. The state-of-the-art facility operates in Salt Ash, 30km north of Newcastle and 160km north of Sydney. Redicrete is experienced enough to offer diversity. As a community-focused business the residential sector is a natural fit for us. We’re also adaptable to the requirements of any customer, from a DIY with a hole in the backyard to the Department of Defence. People contact us and stay with us because of our flexibility. Customer orientation isn’t a buzz word for us, it’s a fact. Anything people ask, we can oblige, and do it. We operate locally, support the local community, provide jobs for local workers and we customise to suit our local customers’ requirements. Rather than a focus solely on product, we accommodate our customers’ requests in a friendly fashion. It’s the reason so many return. 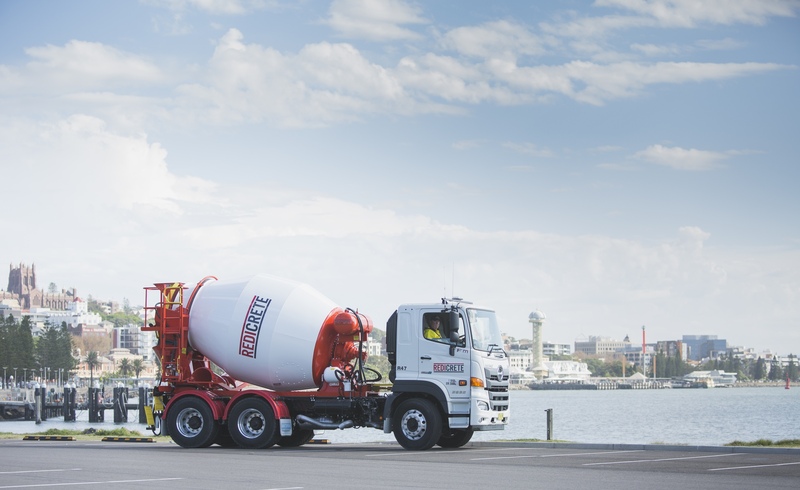 John Clayden Constructions has been associated with Redicrete for the delivery of both CAT Westrac building and numerous buildings within the Williamtown RAAF Base Expansion between 2015 and 2018. John Clayden Constructions has always found Redicrete easy to work with from initial commencement and pre planning of concrete mix requirements right through to the commissioning and handover stages of these buildings. John Clayden Constructions has continuous requirements for consultation with Redicrete regarding complex Structural Concrete Specifications and with the customer first nature of Redicrete, we were able to discuss and continuously move forward with these works. John Clayden Constructions have utilised a wide range of Redicrete mixes from 5MPA right through to 60MPA mixes and have peace of mind and customer satisfaction right throughout. HCH have been engaging Redicrete Premixed Concrete on their numerous multi-unit projects for the past 9 years and the service and communication between our firms has always been of the highest standard, add to this the quality of concrete being delivered and it makes for a great package. If we have booked a concrete pour with Charlie or Jarrad they have continually done whatever they could to ensure we received the trucks at the requested times the next morning, even sometimes using competitor’s trucks to ensure our service expectations were not only met but exceeded. This service ethic is greatly appreciated when undertaking multi-unit developments and allows HCH to stay on track with our works program which is critical on our many developments throughout the region. We have had many other concrete companies chasing our business but we have no reasons or desire to change given what we have built together, we are very happy clients of the Redicrete brand and the HCH team are excited and enthusiastic about this relationship continuing tomorrow, next week and well into the future. As managing director of Edgeworth Constructions/GR Homes I am happy to attest to the professionalism of Redicrete in the supply and support provided in servicing our company. The personal service and ability to work with us to meet deadlines is always greatly appreciated.